Fulfilling the mission of the Mauritius Prison Service to keep detainees in safe custody requires officers to stay calm and focused even amid stressful circumstances. 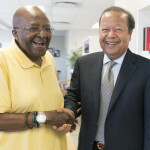 To help with this, the Prison Service recently worked with volunteers at The Prem Rawat Foundation (TPRF) to offer the Peace Education Program (PEP) to 36 officers with great results. 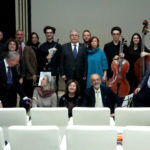 Based on the international talks of renowned peace advocate Prem Rawat, the program’s innovative multimedia workshops are designed to help participants develop a sense of inner strength, clarity, and peace. In his role as Principal Prison Officer Vedianand Bhukhureea is charged with overseeing the Prison Training School and ongoing educational programs for prison staff. He participated in the initial PEP and was “stunned” by how it changed his life and he is now advocating for it to be offered more widely. “It will benefit all of the prison officers and all of the detainees because we need to live in harmony. We need to value each other as human beings,” he says. 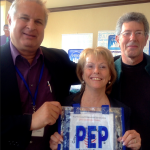 The positive response mirrors that of other PEP participants across the globe. The course has been offered in 74 countries and has benefited a diverse range of groups, from other correctional and law enforcement officers to business leaders, scholars, and more. PEP is widely available to inmates in other countries and has been shown to help greatly with their rehabilitation. Following that trend, Mr. P. Appadoo would like to see the program offered to offenders in Mauritius to help reduce recidivism. 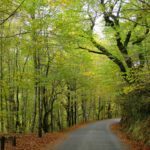 “The program helps get to the root of the problem. We can reduce that rate when we sensitize them and help them find peace of mind, help them know themselves and find peace within themselves. I think it will have some good results,” he says. 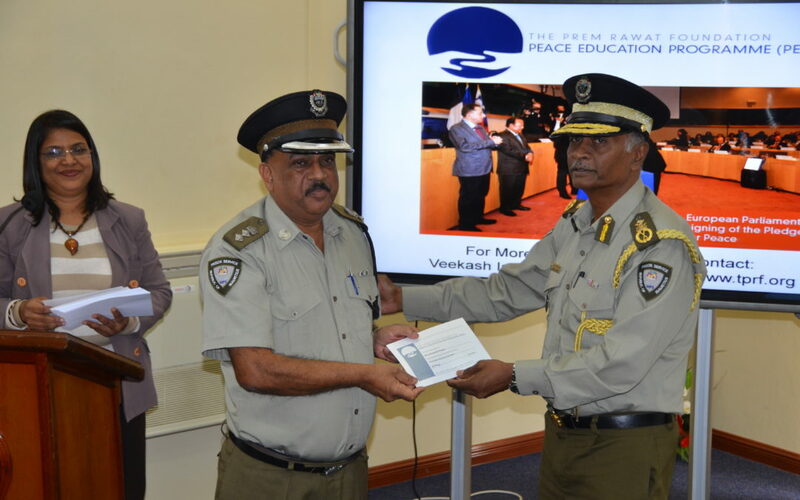 The Prison Service’s embrace of PEP complements that of the Mauritius Police Force. 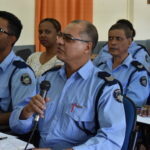 Police officers who participated in an initial series of workshops at the headquarters in Port Louis reported that cultivating a sense of personal peace is helping them preserve the public peace. The results inspired the Deputy Commissioner of Police to approve more workshops for officers across the country.